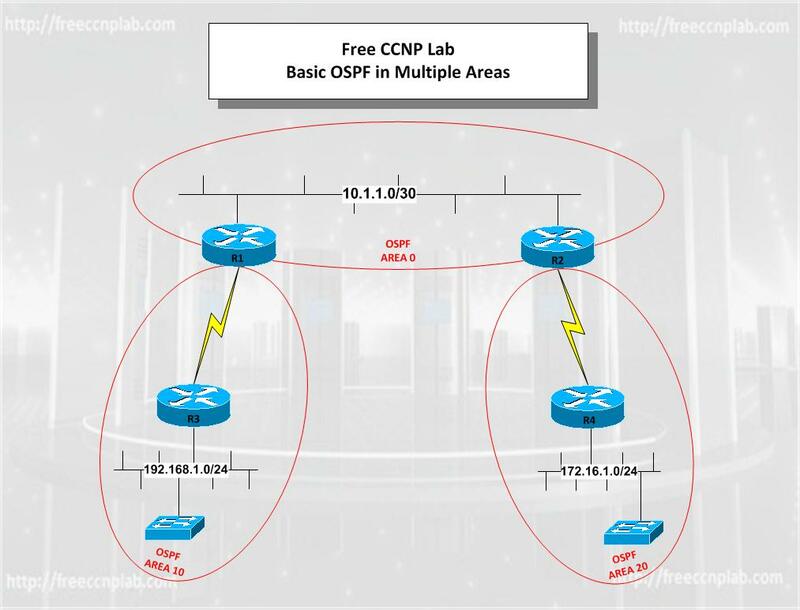 In this lab I’ll show you how to configure a simple multi area OSPF network using four routers. As per the network diagram we will have 3 OSPF areas, our backbone area 0, and area’s 10 and 20. Routers R1 and R2 are both known as an Area Border Router’s (ABR) because they are both on the border between two areas. OSPF Short for Open Shortest Path First, an interior gateway routing protocol developed for IP networks based on the shortest path first or link-state algorithm. Routers use link-state algorithms to send routing information to all nodes in an internetwork by calculating the shortest path to each node based on topography of the Internet constructed by each node. Each router sends that portion of the routing table (keeps track of routes to particular network destinations) that describes the state of its own links, and it also sends the complete routing structure (topography). The advantage of shortest path first algorithms is that they results in smaller more frequent updates everywhere. They converge quickly, thus preventing such problems as routing loops and Count-to-Infinity (when routers continuously increment the hop count to a particular network). This makes for a stable network. The disadvantage of shortest path first algorithms is that they require a lot of CPU power and memory. But in the end, the advantages outweigh the disadvantages.